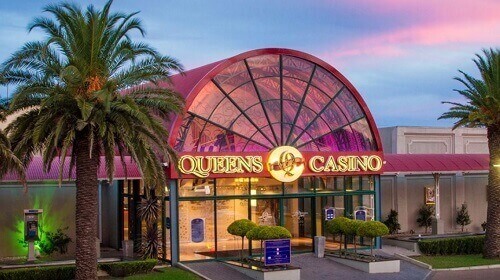 Queens Casino is the hub of entertainment in Queenstown, Eastern Cape. 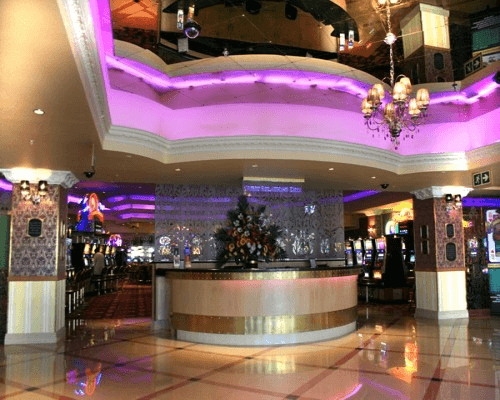 There’s something to enjoy for everyone who visits this casino, with its great entertainment centre. It’s decorated in the grandeur and romance of the Victorian era. This casino was designed to make everyone who walks through their doors feel like royalty. The casino has more than 180 slot machines to choose from. The bet sizes are between 1 cent to R10. There are also six table games to choose from where you can play roulette, blackjack, and poker. Try your luck at the casino from between 10:00 till 04:00 during the week, and until 05:00 on the weekend. Just a walk away from the casino is their 50-room hotel. Rated four stars, the Queens Hotel has quality first-class service. There are modern amenities in their spacious rooms, with comfortable, luxurious beds. The casino has the Junction Restaurant, known for its splendid meals fit for royalty. It caters for family, with an a la carte lunch menu, and evening buffet. Then there’s the Hadley’s Sports Bar, where visitors can meet up with friends for drinks, and watch some sports. Also, you can grab some snacks and light meals at the bar. In Queens Hotel, their restaurant has an impressive breakfast buffet for guests of the hotel. Queens Hotel regularly hosts some of South Africa’s top artists, comedy shows, and themed dinners. Regularly check their website to see what’s on. Queens Casino has something for the whole family. There is a Game Room where children can enjoy the 22 games on offer, or if they’re still too young, stay in the creche. The family can also try their hand at miniature golf at the 18-hole Queens Mini Golf Course. Enjoy some relaxing and meditative time in the restored and exquisite Walter-Everett Gardens. Smell the flowers while you walk among the peacocks, swans, and ducks. Queens Casino is a premier destination for both locals and visitors stopping by in Queenstown. Check out other great casinos in the Eastern Cape province on CasinoZA.com.